PEOPLE PROJECT | POWER FROM THE STREETS! Please honor this day and night appropriately. And remember every other day of the year. NO MORE DEATHS FROM HOMELESSNESS! Struggle with the People on the Streets for survival, rights, and dignity! In Humboldt County, California, join folks Dec 21, 2018 on the Old Town Gazebo, Eureka, from 12pm Noon to 10pm. Come together with food, music, education, resources, community, and to remember our friends, loved ones, and neighbors we have lost. We are accepting donations of food and warm clothing to ensure our community members can make it through the night. Please bring donations to the event. More details soon. Homeless people die from illnesses that affect everyone, frequently without health care. Homeless people die from exposure, unprotected from the heat and cold. Homeless people die at the hands of police and civilians in unprovoked hate crimes. Physical safety is a human right. Sleep is a human right. Remember our neighbors and friends who have died without homes. December 21 Winter Solstice. The Extreme of Winter. The Longest Night of the Year. Make sure – if you vote in Eureka, CA – that you do NOT vote for this jerk (pictured and discussed below), Anthony Mantova. Also, add to that list of who NOT to vote for- Jeannie Breslin and Michelle Constantine. Please don’t vote for any of these ‘Take Back Eureka’ people. They do not like facts, public health, poor people, or social justice. People will suffer (even more) if this dishonest, hateful bunch get in to office. Mantova was a regular on Rush Limbaugh. He is now renting a place in Ward 1 from Michelle Constantine, so he can run in this election. Trump guy. Please give your Eureka friends the no-vote list. His hometown paper, the Eureka [CA] Reporter, published his columns supporting the Global War on Terrorism, and invading Iran, as recently as last year. Why doesn’t he sign up? Mantova gave me unconvincing answers. He speculated how his enlistment might undermine civilian control of the military. He compared himself favorably to the ancient Roman politician Cato the Elder, Winston Churchill and Socrates. Clearly, Mantova has a very high opinion of his intellectual abilities. Finally, Mantova demeaned all service members and veterans with his “hillbilly, intellectually vacant and morally-repugnant” comments and dismissed the very notion of military service. He treated a deadly serious question as if it were a joke. You can bet Mantova will continue to “stay the course” — the one farthest away from the recruitment office. He’s much safer cheering on the war from his cushy job at the nonprofit foundation and polishing his resume than he would be fighting those nasty terrorists. Thanks also to Steve Gilliard. And Daily Kos. And Conservative Underground. And Respectfully Republican. And All Too Common Dissent. No surprise his supporters are the usual rightwing suspects John Fullerton, Jeff and Sharon Lamoree, Jeannie Breslin, and Marian Brady. Surprise! 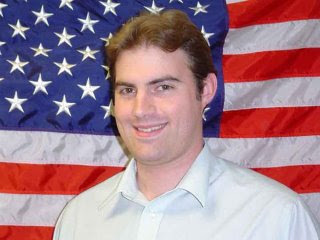 Eureka City Council Candidate and all-around Trump sycophant Anthony Mantova has strongly endorsed Ryan Sundberg for fifth district supervisor in today’s Times-Standard. No one actually should be surprised. While Ryan has cultivated his façade of being a calm, reasonable sort of middle of the road voice on the board of Supervisors, the reality is much different. True compared to the bluster and bravado of fellow supervisor Rex Bohn, Sundberg does indeed seem calm, but that just his demeanor, when you look at his voting record both as a supervisor and as a coastal commissioner it’s indistinguishable from the positions espoused by chronic blowhard Rex Bohn. Please join us, on the shortest day/longest night of the year, to remember and honor people who have died while homeless in Humboldt County. We will gather from 2pm to 10pm with food, music, candles, and opportunity to share your thoughts and memories about the friends and neighbors we have lost. There will also be naloxone training and education. This will all be happening at the Gazebo (2nd and F) in Old Town Eureka on Thursday, December 21st – Winter Solstice and Homeless Persons’ Memorial Day. In Southern Humboldt, you’re invited to gather “under the clock” in Garberville at 4pm, and there will be a candle light vigil in honor of those who have died while homeless, with no where to go. We are accepting donations of food and warm clothing to ensure our community members can make it through the night. Please bring warm, clean donations of survival gear to the event: backpacks, sweaters, sleeping bags/blankets, hats, socks, belts, shoes, etc. If you can, bring some vegetarian/vegan food (so everyone can enjoy). Regarding food, message or call Sarah Torres and let her know when you can bring your dish/food item. 707.267.4757. Please show your support if you’re housed. Spread the word. This year there has been a lot of violence against homeless people and unnecessary deaths of people without shelter. We honor those who have died by defending the dignity and safety of people living without shelter. And working so that no one is left out in a wet, cold. and dangerous situation. Hope to see you Dec 21st. It is important that we come together and stay connected. This year’s Homeless Persons’ Memorial Day is organized by people from Affordable Homeless Housing Alternatives (AHHA), Humboldt Area Center for Harm Reduction (HACHR), folks from Peoples’ Action for Rights and Community (PARC), and other caring people in the community. Listen to this end of the year (2017) RADICAL RAP radio show about Violence Against Homeless People. You’ll hear frank discussion about who and what are perpetrating violence against homeless people. Names are named. 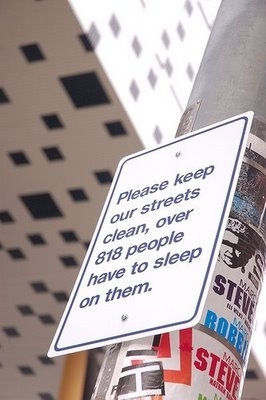 People and businesses are exposed for their hateful anti-homeless activity. Also, we tell some of the real stories about people who have died/been killed while living homeless in Humboldt County, California. Please listen. Please remember our loved ones, neighbors – to put it simply – human beings we have lost… In situations that should never happen. There are many reasons, but before we get into what they are, we want to emphasize the need for more places like PARC to be created. And maintained. PARC (Peoples’ Action for Rights & Community) has existed for 10 years- all of our work has been volunteer and all of our funding and supplies have been from community donations (including our own pockets). We have no 501(C)(3), no statistics, no lists of all the people who have come through the door, and no purse strings (or other strings) that keep us quiet or prevent us from risking arrest, organizing with whomever we want, and doing and supporting whatever actions we find worthy in defense of the people, the Earth, and the critters. Not one donation we get stops us from choosing to publicly take positions on government, police, prisons, community, homelessness, laws, businesses, racism, Palestine, etc; nor have we ever signed an agreement with anyone that precludes us from opposing the concepts, systems, structures, and people who we find to be harmful or threatening to dignity, fairness, and life. We are proud of our stances against such things as capitalism, racism, police, borders, war, GMO’s, death penalty, and animal abuse. We don’t change to attract a donor or government, and therein lies our integrity. That, plus our commitment to care for people every day, morning to night, has kept us supported for this long. We are so grateful to the principled and generous people and organizations who have supported PARC with money and all other types of donations, invitations to events, letters in our defense (remember those? ), volunteer time, hours of dishwashing, long distance solidarity, artwork, animal care, vehicles and rides, home-made and special event foods, college/university internships, and spiritual and political backing. Now that it is almost a year, we will close PARC on Sept 7th and take a few weeks to clear out the space. For those of you asking “What’s going to happened next?” that’s what we are trying to figure out. Over the 10 years that PARC has existed, the inequalities of capitalism have gotten worse, and more and more people are suffering. More people have been pushed into poverty and have greater difficulty meeting their daily survival needs. The impact on PARC has meant more time, effort, and resources devoted to helping people to just get by, and less time doing the political work to end the conditions that are putting people on the streets. 10 years of working here ‘as’ PARC has provided a wealth of experience; we have learned a lot; and in this period of having to shut down in this location, we have the opportunity to evaluate our responsibilities moving forward, committed to working for justice and social change. Volunteers who become familiar with the people and the rhythm in the chaos and come on a regular basis are critical. Countless volunteers have helped PARC over the years. We will not try and list all the names, for fear of leaving someone out, but everyone’s contributions were part of PARC’s spirit and success. Homeless Persons Memorial Day marches & gatherings. PARC has been an important resource center and organizing hub for 10 years. PLEASE: Call PARC (707.442.7465) or email peoplesarc@gmail.com, if you would like to get together and talk about what you could do in the near future to prevent huge gaps in relief, food, bathrooms, showers, safe(r) space, computer use, phone use, mail service, legal support, etc. Without community action, these gaps will exist for people living on the street and for housed and unhoused people who need space, use of office equipment, and/or advocacy, for myriad reasons. We want to talk with people about how to work a place like PARC, or a space that fills one or more of the needs that PARC has met, and how to establish this space and keep it going. There can and should be multiple places and methods that take care of community needs. Simple and consistent acts of creativity and dedication can do so much. PARC needs to strategize with donors where to bring the clothes, food, and towel donations that we usually get. It is unacceptable for all donations to go to well-funded places (e.g. Eureka Rescue Mission, Betty Chinn) where only “certain” people can access them, and most can not.